Kirti Singh leads P&G’s global Consumer Market Knowledge (CMK) organization and Analytics & Insights group in leveraging cutting-edge data, analytics, behavioral science and visualization to discover consumer, shopper and market insights and transform them into actionable outputs that drive growth of P&G’s global product portfolio. Under Kirti’s leadership, CMK has become an invaluable partner in shaping the direction of our ten product categories to grow brands, guide strategies and portfolio choices, and design in-market executions. 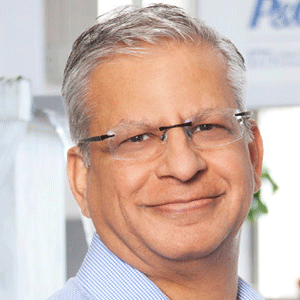 Since joining P&G in 1993 as a CMK manager in India, Kirti has held numerous leadership positions across P&G businesses, including Beauty Care, Feminine Care, Health Care and Grooming. He has worked across many geographies including India, China, Singapore and the US. Outside of P&G, Kirti lends his expertise to academia and the public sector to foster development in the areas of consumer insights and research. Kirti graduated in Electrical Engineering and has a MBA from XLRI, India. Kirti is married to Charu Singh and lives in Cincinnati with their two children.